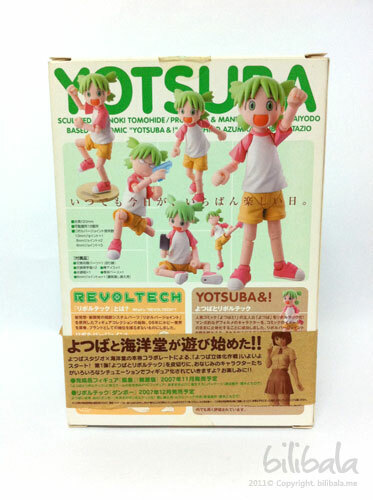 Home » Revoltech » The Green Headed Girl- Yotsuba! 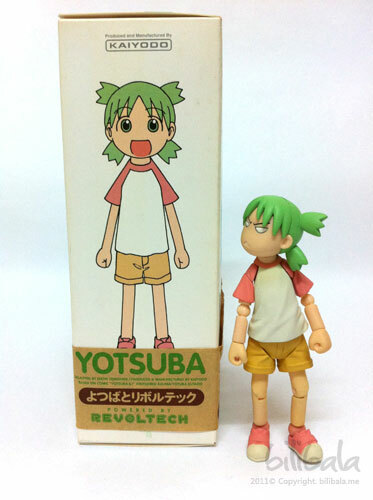 This is one of my earlier toy collection from Revoltech which is a cute and adorable character called Yotsuba Koiwai. 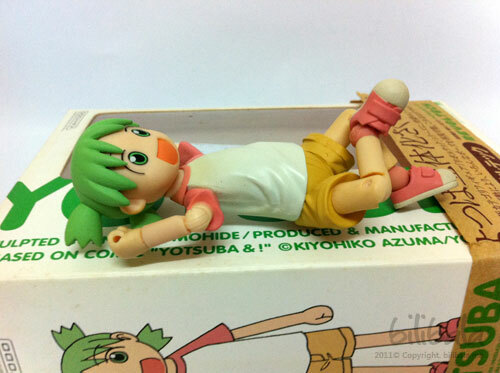 She is actually from the Japanese commedy Manga called “Yotsuba & !” by Kiyohiko Azuma which depicts her daily life with exploring something. 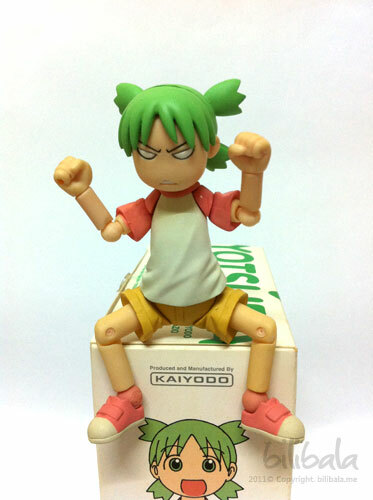 But sadly, I didnt actually own or read any of the manga but i am only attracted to this small and cute figure. For certain reason, i always like to call her the Green headed boy. 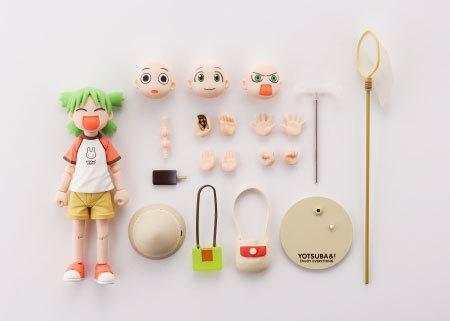 Well, i guess the reason is quite apparent as she has green hair and a body shape like a boy. But the fact is, she is actually a 5 years old girl in the comic and what make it so adorable is the expression of the character herself. If you are interested in reading more about the background of this comic, you can always visit here from wiki. Since this is the first time i am doing review on Revoltech toy, i would like to give a brief introduction on it. 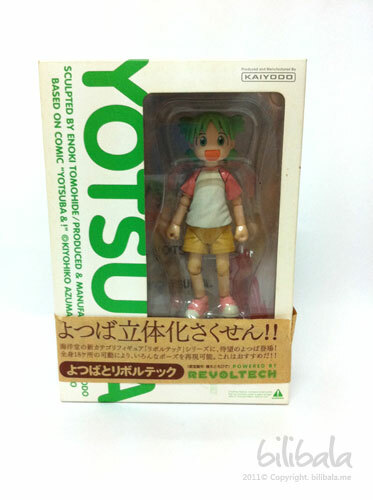 Revoltech is actually a series of toys produced by Kaiyodo Japan. 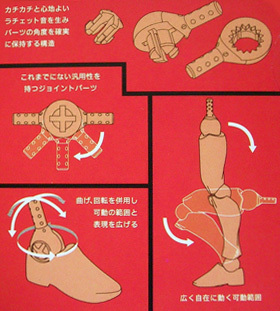 The Revoltech wording comes from “Revolver Technology” which actually referring to the revolving joints articulation used in the toy. 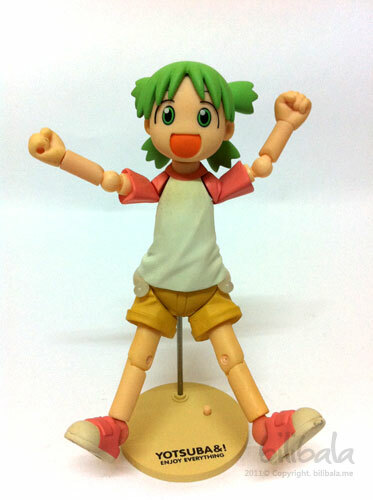 This joint articulation itself gives the flexibility and the freedom of posing the figure. 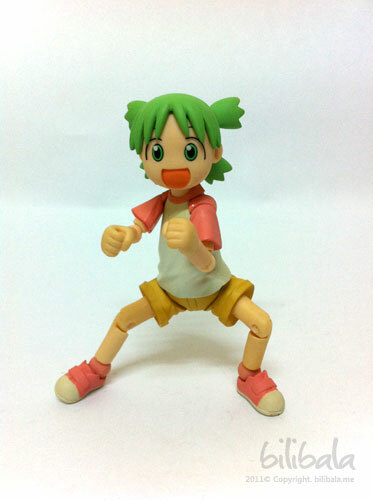 In other words, with these joints, you can do all sort of crazy and fancy pose for your figure. If you are interested in reading more about the Revoltech, click here. The Green Headed Guy, eh, i mean girl! Ok, here you go with that girl inside the box. I bought this around 2007 and you can notice that the box is a bit yellowish itself although being kept in a box properly. hmm.. wonder.. 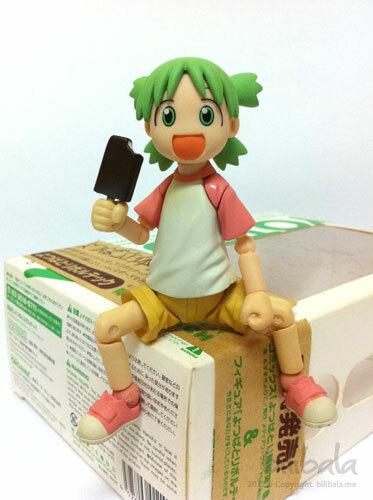 The figure comes with a few props: an extra “Mad” face expression head, a revoltech stand, 2 extra hands, an extra waist joint, a bitten ice cream stick and a water gun. Well, from these props, you can go as wild and as creative of how to pose this 22 articulated figure. Here’s what i did to this little fellow. 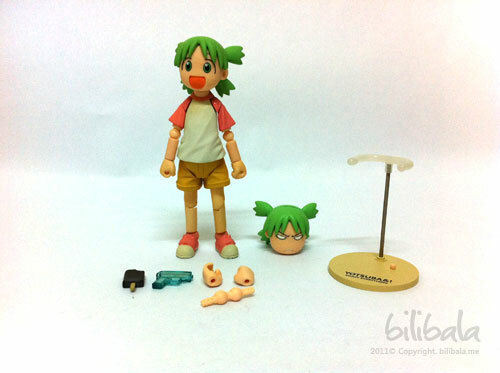 The 1st picture shows how tall the figure is… roughly 9cm and how comic-accurate the sculpture is for the figure. 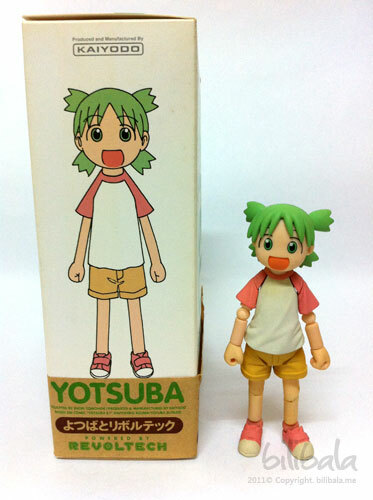 You can compare the illustrated Yotsuba with the actual figure. 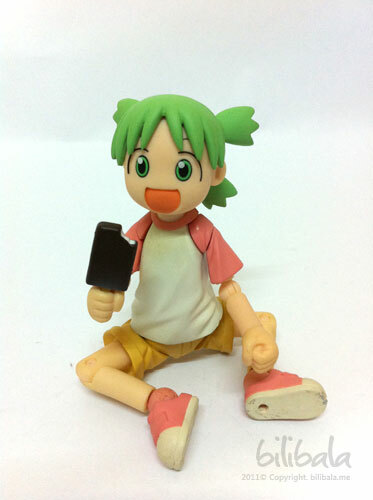 Some poses with normal face expression and/with the ice cream stick. Or even sit on the box having a chill out? The following 2 pictures demonstrates the use of the stand. 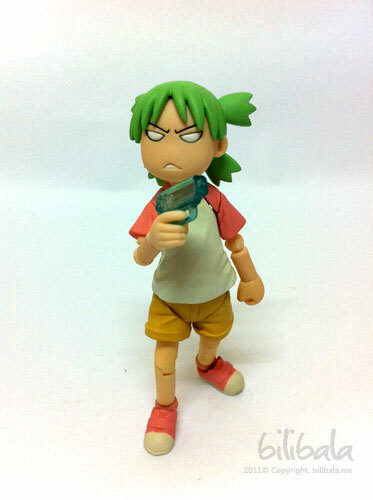 A few poses with the “Mad” scary expression of Yotsuba with her water gun. 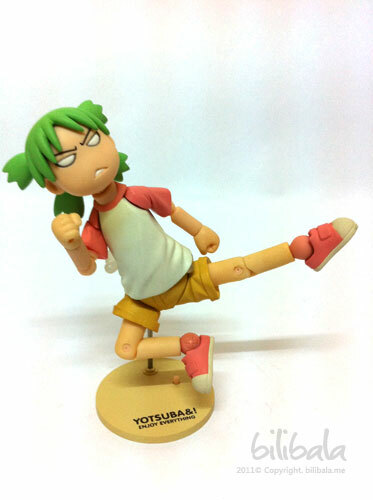 See how flexible the pose is. Phew.. after a long hour pose, i need a rest 🙂 Anyhow, i am not good in posing, guess you will have a better experience in posing figure better than me. But unfortunately i can’t do a sharing on this collection coz i didnt buy it 🙁 too bad to get regret now…. One thing i dont like about the figure is the white colored area. They got discolored after a year of keep it in box. Maybe i dont know how to keep it properly or do anyone know a way to undo the yellowish discolor? Feel free to drop me a comment if you have any good solution for that. 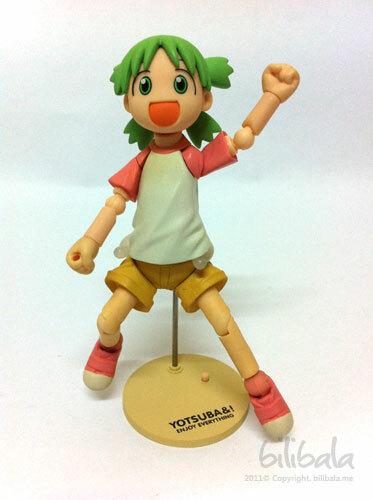 I wanna keep my Yotsuba clean and brand new! Well, my personal rating for her is 9/10. 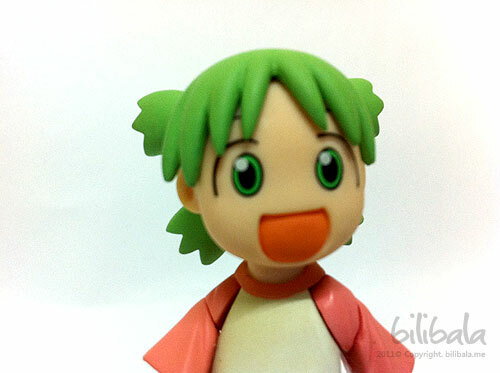 Is cute and fun to have her around, especially when she accompanied me the whole night working OT in the office for the pass few years 🙂 Luv ya, Yotsuba! yea.. too bad bro. 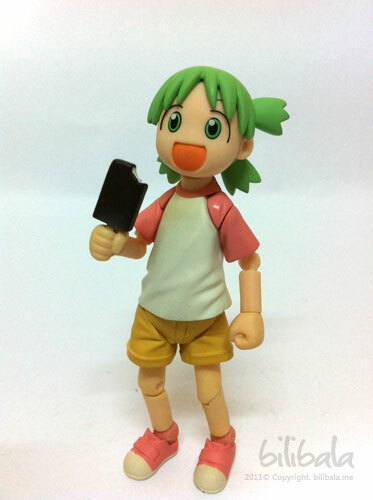 I know TzuEn got the Summer version. Is very hard to find it now unless import from Japan like you. Cute lil' gal. Yeah, too bad you can't get the Summer Version though. It would've been worth every bit of your penny spent.